Now's your chance to fight for glory and honor with open registration for the 2013 World Cyber Games USA Super Street Fighter IV tournament at The Escapist Expo! Escapist Expo, running October 4, 5, and 6 this year, will host the 2013 World Cyber Games USA Finals on Saturday, October 5 right here in Durham, NC. The WCG USA Finals are home to several competitions including StarCraft II: Heart of the Swarm and League of Legends, among others, but Escapist Expo attendees can now register to compete in the Super Street Fighter IV tournament. 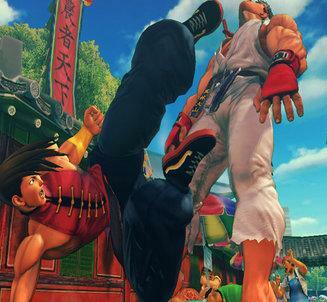 Register as a competitor for the Super Street Fighter IV Tournament. Purchase a 1 day pass to The Escapist Expo for Saturday, October 5th, 2013. You must have a completed registration before you purchase your 1-day pass to The Escapist Expo. Lastly, make your travel arrangements! Travel info can be found here. The winner of the SSFIV tournament will win an all-expenses paid trip to Kunshan City, China to represent WCG Team USA in the WCG Global Festival. If you want to purchase a 3-day pass, go for it! But the SSFIV competition will only be held on Saturday, Oct. 5th. Are you more of a spectator and less of a fighter? Check out the full schedule of WCG events at Expo.